You know the hallway you have that is cluttered with your kids shoes, book bags, sports bags, keys, gardening tools, jackets, and everything else you can think of? It doesn’t have to be that way! 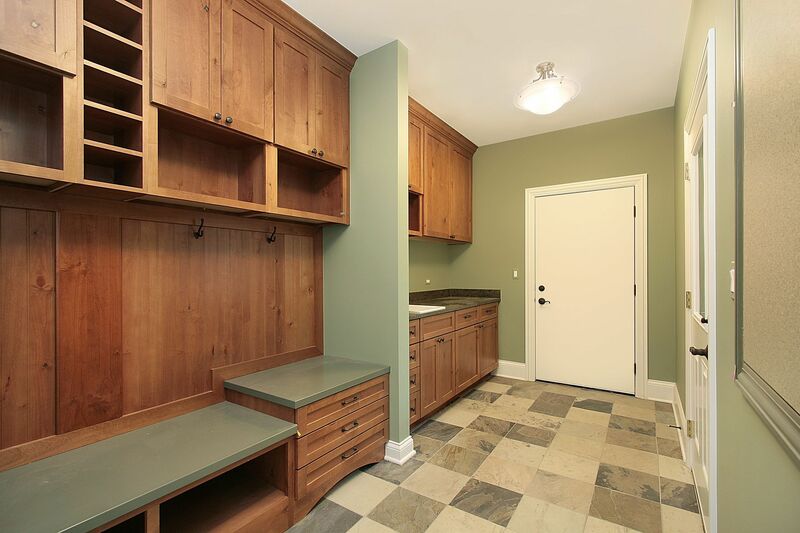 You can organize this mess into a beautiful and purposeful mudroom. 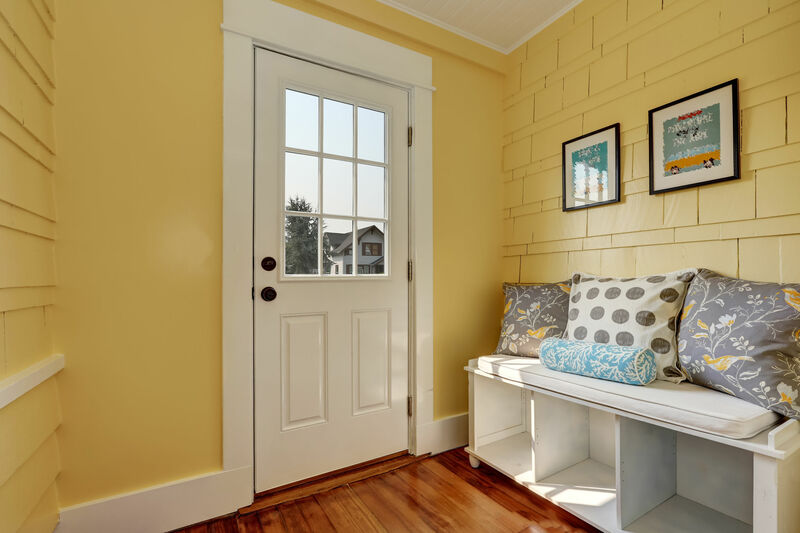 Whether this is in the front of your house or if your family mainly comes in from a back, you can make a space that helps to keep your home tidier. Make a place for everything with these organizing tips! You can tell your children a million times to take their shoes off outside and yet they still track mud throughout the house, right? A mud room that is designed right can stop this madness! I highly suggest not having carpet right when you walk into your home. Instead, have tile or waterproof laminate flooring. This way you can easily clean up the mess! Here’s a great tip, place a rug on the outside of the door and on the inside! That way kids and pets will wipe their shoes and paws off on both the outside and inside. This means less mud on the inside of your home! Think about all the things gets thrown around in this hallway. Now, let’s get them organized! 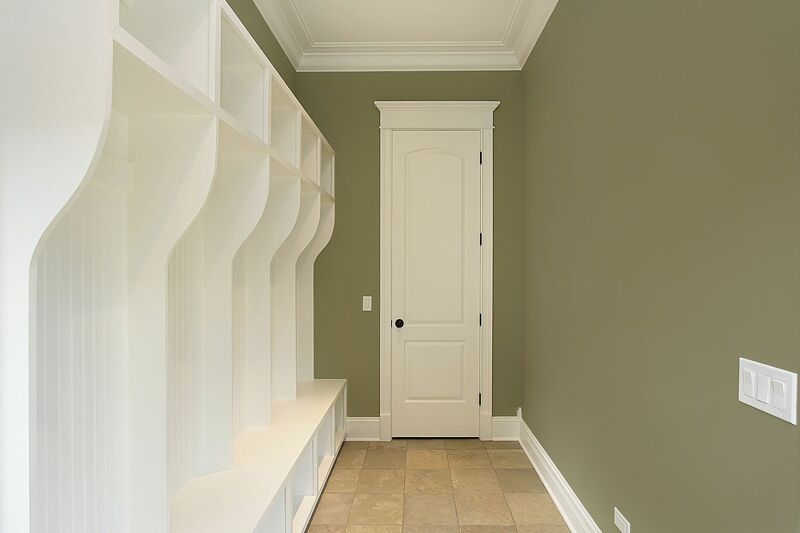 The organization part of a mud room can make your life a lot easier. Find a cute key holder to place on your wall right next to the door. When you walk in the house, you can simply set your keys on the key holder. The best perk about a key holder is that you won’t lose them as often! Find a blank space on the wall where you can put a functional bench. Keep under the bench open so that everyone can put their shoes there. This is the perfect solution to get them out of the way! The bench is great because it gives people a place to sit while they take off their shoes. Above the bench is a great place to put jacket hooks! If the jackets and coats get rained on, hanging them up will help them to dry faster and keep the water off of your floors. This is a great place to hang purses and book bags too! For the random items that you really don’t know what to do with, put them in a basket! Build shelving above the jacket hooks and place cute baskets on them. This will hide all those random items in style! Even though this is a small yet functional area, there is still lots of fun to be had with design! A very cute idea that also helps with organization is to paint the wall with chalk board paint. Once its painted, above the hooks and below the shelving you can write the names for everyone in your family so they each have their own section. They can have their own jacket hook, space for their shoes underneath the bench, and basket for random stuff! Enjoy a new organized space with personal design touches. Ease your mind knowing you won’t be walking into a cluttered mess anymore!